Blackberry Macro, originally uploaded by johnwmacdonald. Blackberry is lit by two sb-800's @ 1/8 power about 10 inches away from blackberry, flashes triggered by Pocket Wizards. simple white paper reflector used as well: 2 bent business cards. 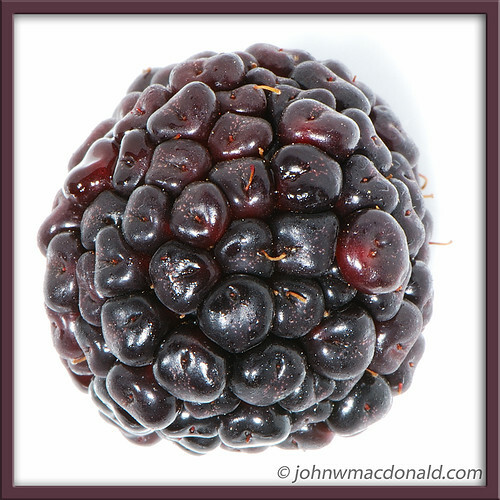 The blackberry sits on a white plate from the kitchen cupboard like the rest of the macros in my macro photoset. oh wow, they're structurally like tiny cherries. Very nice shot. Perfectly executed.